Leave dongles behind with a drop-jaw Ethernet port, VGA port, and DisplayPort for key connections to all your devices. Never fear bumps and minor spills. 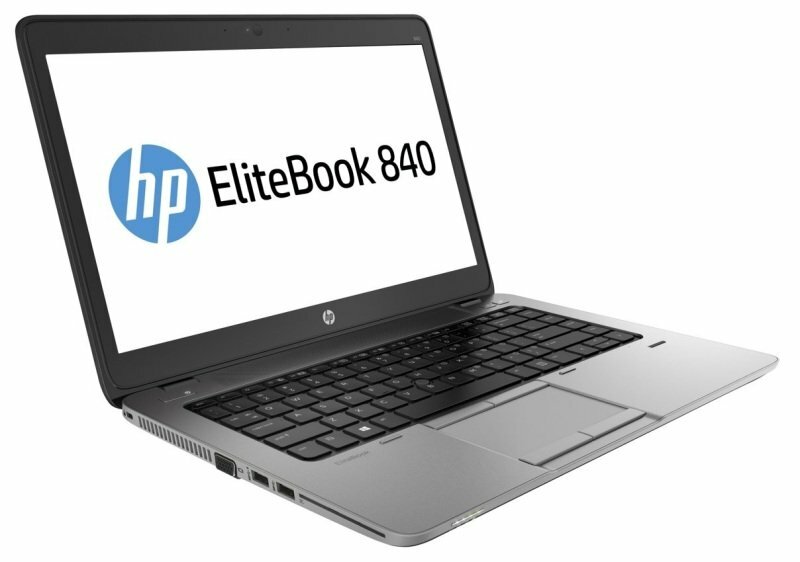 The thin, light, and stylish HP EliteBook 840 endures HP's Total Test Process and passes rigorous MIL-STD 810G testing. Get all the features IT expects including an expanded security portfolio and manageability options to help keep your business protected and running efficiently. Enjoy the intuitive control and impressive clarity of the screen featuring tough Corning Gorilla Glass. The storage options ensure optimum performance from your HP EliteBook. Choose from dual storage options featuring a range of HDD and SSDs as well as flash cache and a mini-card SSD.